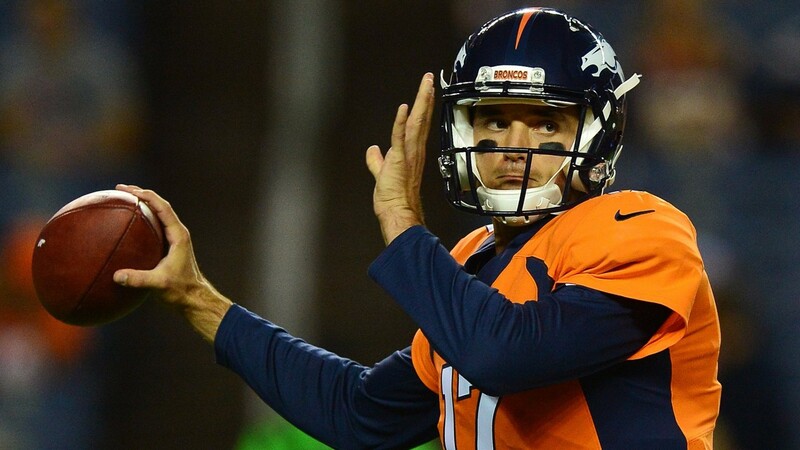 Having suffered four defeats in their last five matches, Trevor Siemian has been made the fall guy in Denver and Brock Osweiler has been thrown in the deep end to play quarterback against the team with the NFL's best record. Once again, the Broncos are finding they need to ride on the back of their defence if they are to progress, as they did when they won the Super Bowl two seasons ago. Things looked good when they won 42-17 at home to Dallas in Week Two but they have failed to score more than 20 points since and their performance against the Cowboys inflates their average of 18 points per game. However, it still seems that the points line in this match is on the low side at 41.5. The Eagles have failed to score 26 points just once this season and that was in their only defeat to Kansas City. Quarterback Carson Wentz is having an excellent season and the addition of Miami running back Jay Ajayi is interesting. The London-born rusher has not reached the heights he did with the Dolphins last season but provides another valuable outlet alongside LaGarrette Blount. The Eagles have also conceded 23 points against Carolina and 24 against both Washington and the Los Angeles Chargers in their last five matches so the Broncos could still contribute to the total. Offensive lineman Donald Stephenson is out with a calf injury. Running back Emmanuel Sanders, linebacker Todd Davis and guard Ron Leary are questionable. Tight end Zach Ertz has been struggling with a hamstring injury but looks set to play. Cornerback Ronald Darby is questionable with an ankle problem. The points total has gone over the line in each of the last five meetings.